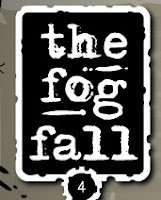 The Fog Fall 4 is a new point and click hidden object puzzle from pastelgames. This is the next edition in the post apocalyptic thriller adventure flash game from pastel. It will haunt your dreams as it challenges your imagination. Using your mouse, navigate around the place, pick up items and interact with the environment as you solve challenging scenarios. Here is the walkthrough for those who are stuck at the game.